Sometimes we just take a walk out to the seawall for, well, a walk 🙂 We go to see the boats, walk in the water, enjoy the breeze… well, the children go walking in the water anyway. I swear, we could walk the various parts of the seawall everyday at the right time and get great photos every single time. 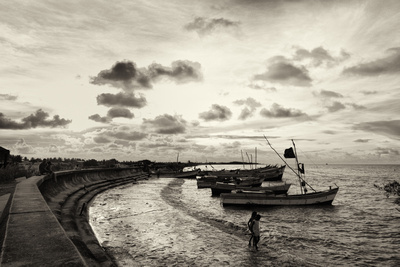 The seawall is a microcosm of Guyanese life.